There are so many dreamy and beautiful options when it comes to decorating your venue. If your venue has a pool, add some fun decor to give it that playful look. Give your venue a whimsical vibe by adding flowers, floats, or fun geometric paper decor! Get your guests amped up for the big day by sending them trendy stationary. 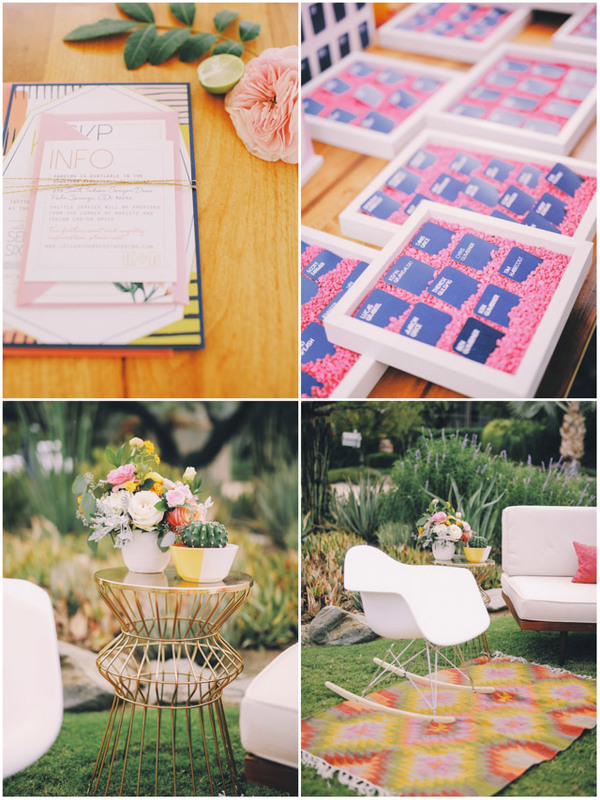 Vibrant colors, cacti, and playful save the dates or invitations are a sure way to get them excited for your big day! Palm Springs wouldn't be Palm Springs without it's bright colors. Add a pop of color into your centerpieces, party favors, or lounge area. The color will help emphasize the textures in your decor. Palm Springs is a vibrant yet dreamy city. You can always bring a bit of Palm Springs to your city wherever your wedding may be!